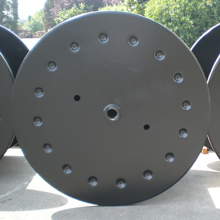 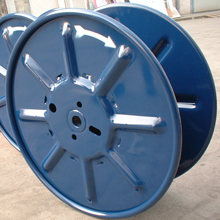 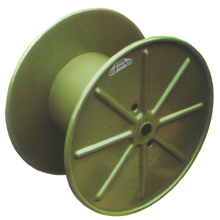 Reels with pressed flange which, according to the model and application, can be double or single. 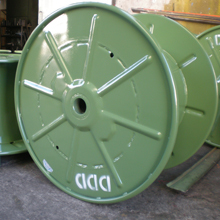 These reels are used for shipping (one way or multiple) or for internal process and, according to the typology, for the receipt of all typology of wrapping material (ferrous, non-ferrous, tubes, cables or other). 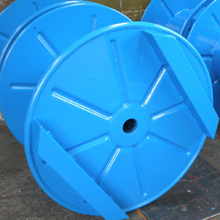 Reels are available in light version for one way shipping or with higher sheet thckness for higher charge capacity and for multiple shipping.